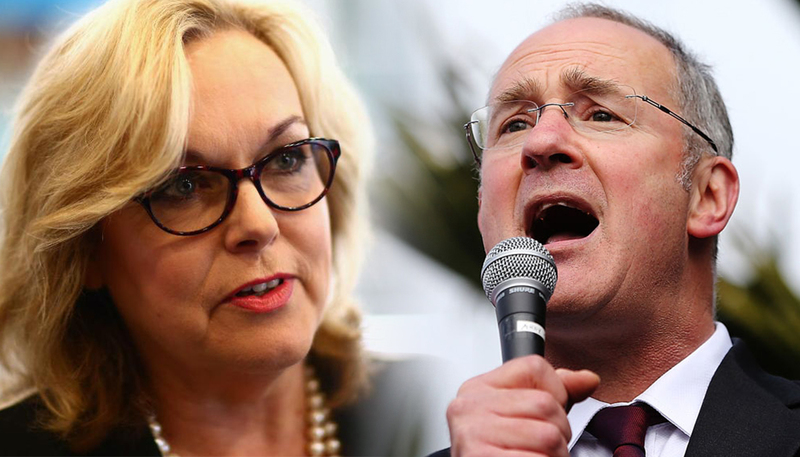 Judith Collins has been jokingly accused of making the phone call that got her arch-nemesis Transport Minister Phil Twyford in trouble on Thursday. The Transport Minister offered his resignation after Ms Collins revealed the phone call in written questions for Parliament, made on a plane after the doors had shut in preparation for take-off on Budget day. Prime Minister Jacinda Ardern rejected his offer, instead choosing to strip him of his Civil Aviation Authority responsibilities. But was there a plot to bring Mr Twyford down? "The rumour is that Judith saw Phil and gave him a call," Labour MP Stuart Nash joked on The AM Show on Friday. He was standing in for Mr Twyford, who usually appears alongside Ms Collins on the early morning news show. Ms Collins - who shadows Mr Twyford as National's housing spokeswoman - said she couldn't have been the one who called him. "Of course not - I don't have his number." The truth is Mr Twyford made the call himself, admitting in his apology it was "particularly inappropriate" as Transport Minister. "It's wrong. Phil admitted, he fronted up, it's not as if he tried to hide it," said Mr Nash. "The Prime Minister's made a decision... and away we go. This isn't a guy who's trying to hide or make excuses." Ms Collins did have a key role however, bringing the call to Parliament's attention after "someone" told her about it. "The informant wants to be anonymous, and I respect that." Both Ms Collins and Ms Ardern say ministers should be held to a higher standard. Ms Ardern says it's up to the CAA if it takes action, such as issuing a fine, against Mr Twyford. "I'm not going to set any expectations. That's up to the CAA - they need to make that decision, independent of any of us." She said the CAA may end up back in his responsibilities, but for now it's "obviously not appropriate". National MP Gerry Brownlee was fined $2000 when he breached airport security in 2014. He was Transport Minister at the time.